The world's first DVD recorder featuring the TiVo service. 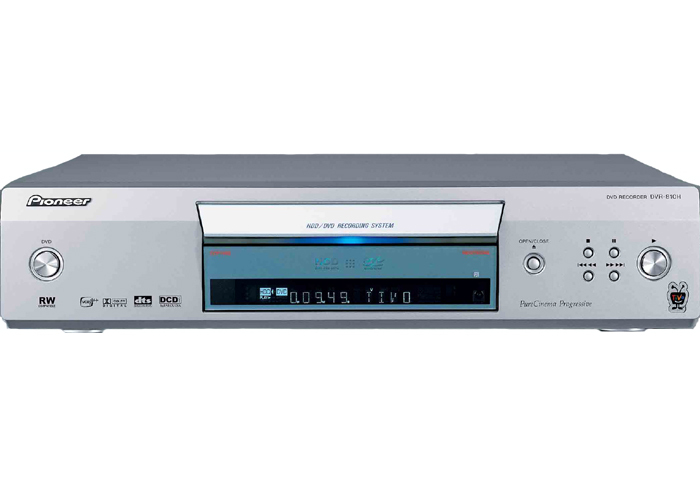 This new recorder offers consumers the control provided by the easy-to-use TiVo service integrated with advanced DVD recording for the option of short-term storage on a hard drive or long-term archival of broadcast programming from the hard drive onto DVD-R/DVD-RW discs. Offers an 80-gigabyte hard disc drive.